Okay, I've been reading the books/watching the movies over religiously lately and there are a lot of Deaths which really get to me, cuz I wished a lot of characters never died! I just wanted to know which death affected you the most and why? Because he deserved a Free life after serving two masters for most of his adult hood, if anyone deserved a break it was him one wrong mistake took him a lifetime of making up for it. 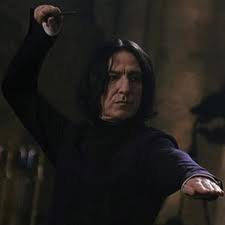 He deserved so much respect and honour but no-one knew the real Snape until he was Dead. He was and still is a Hero in my eyes takes more credit then Harry,Albus or Voldemort for that matter. He was my favourite character. I still mourn him years later.